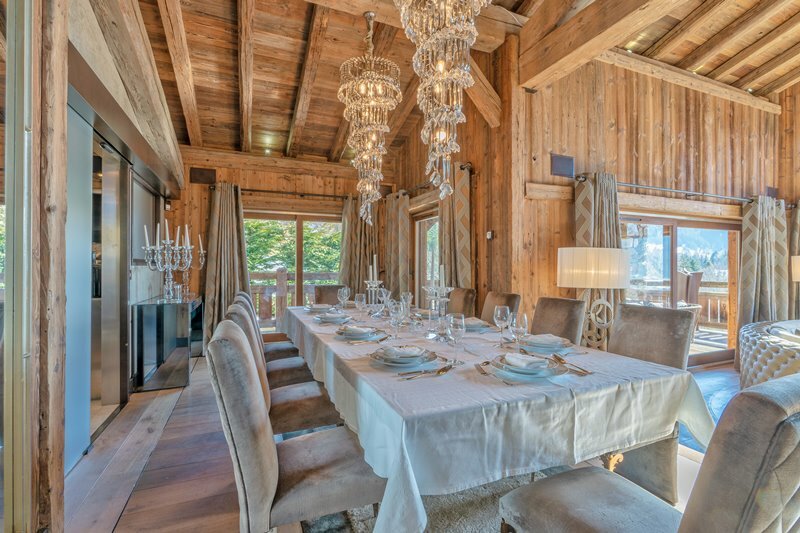 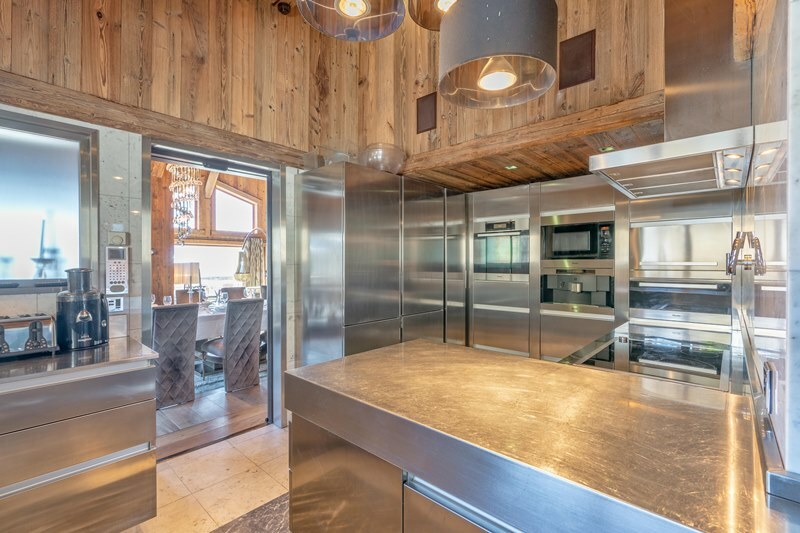 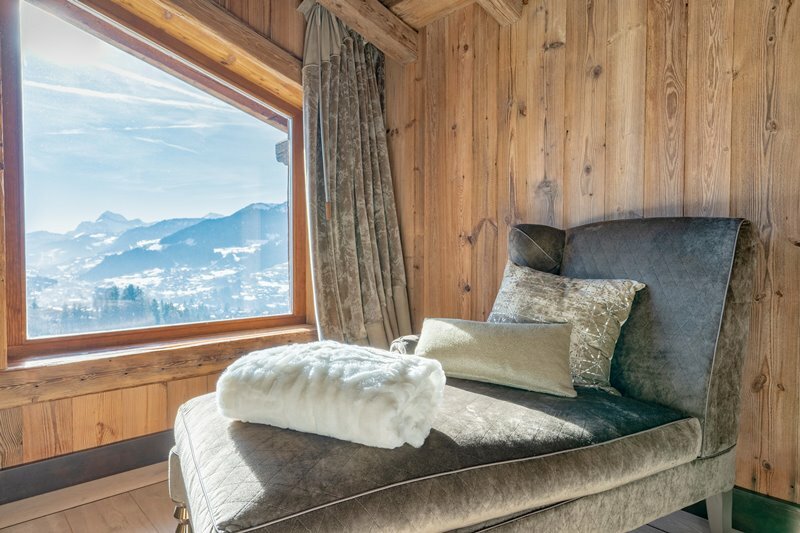 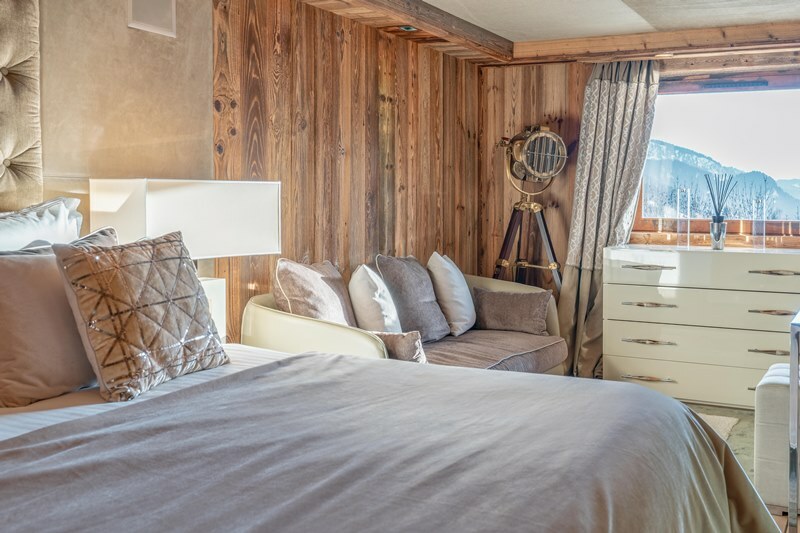 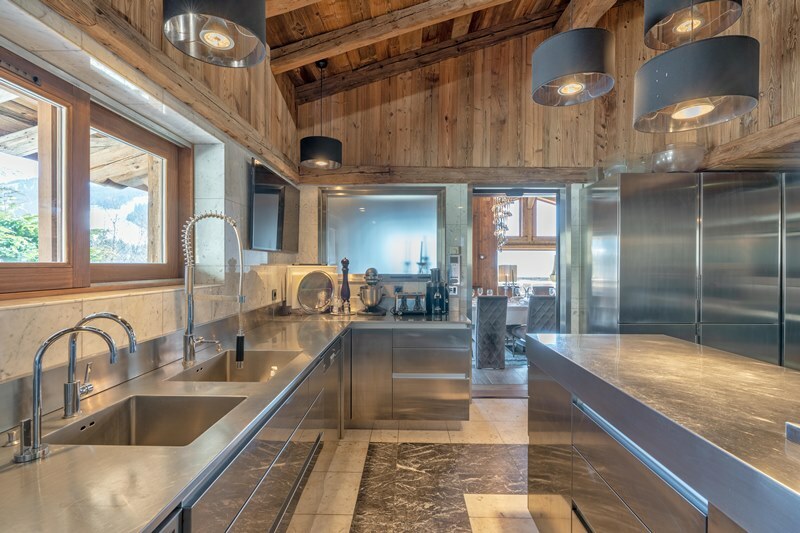 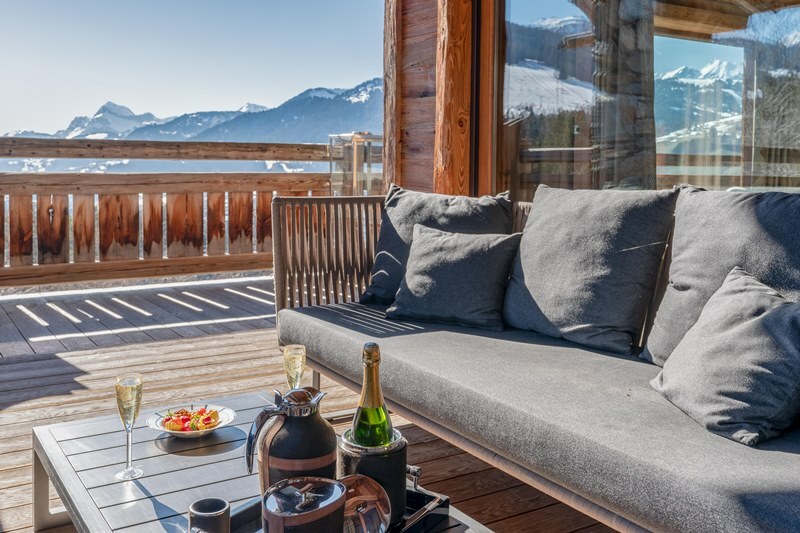 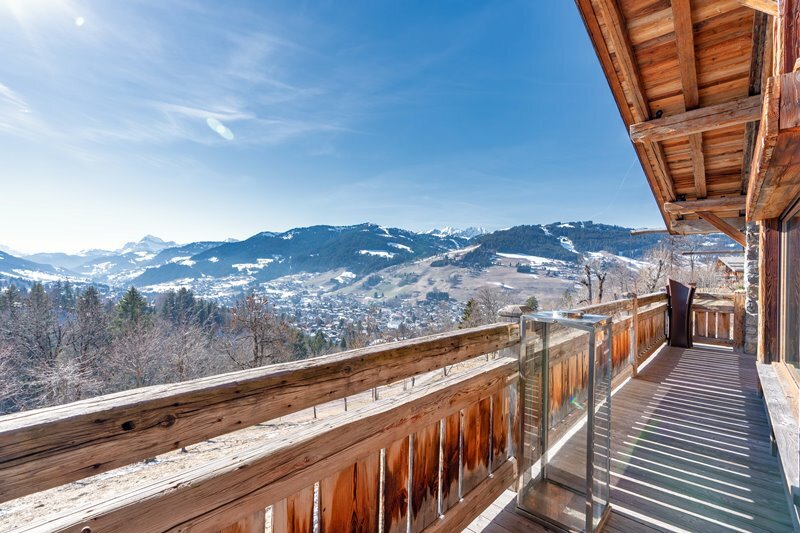 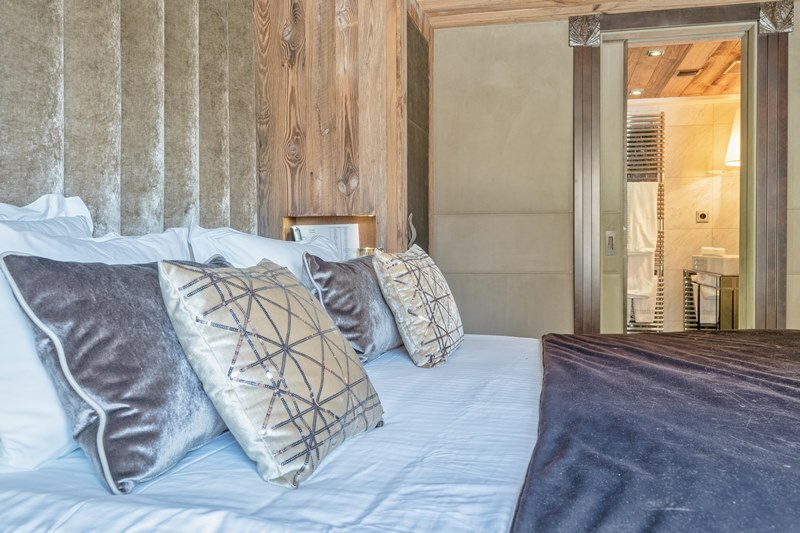 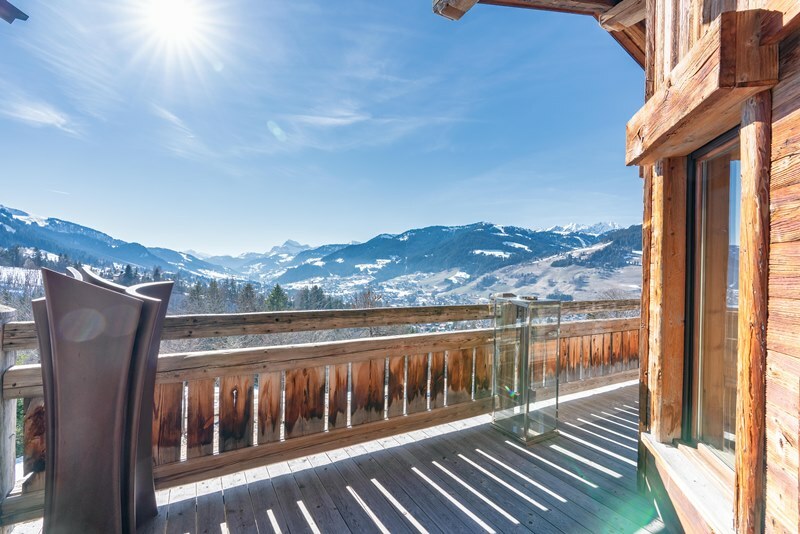 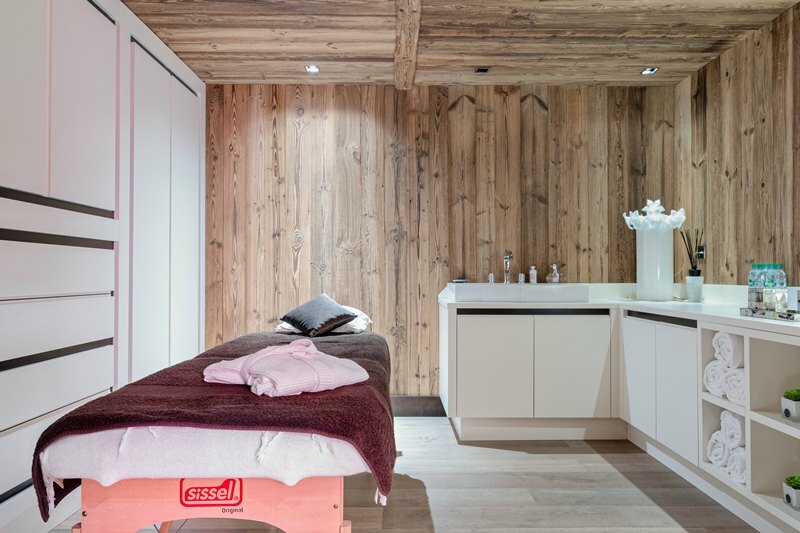 Located in Mont d'Arbois, above the ‘chemin du Calvaire’, chalet Sun is literally hanging on the mountainside offering its occupants on each level amazing views of the valley. 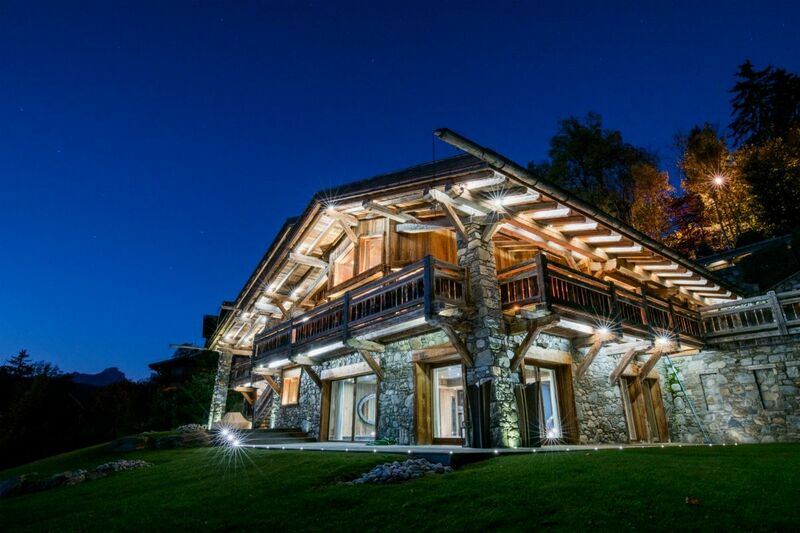 The chalet Sun already impressive from the outside as its architectural design gives it a great look. 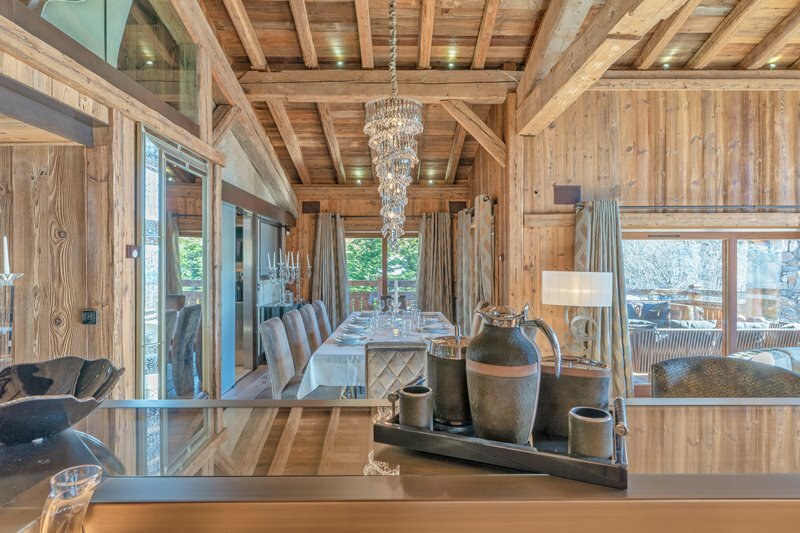 The chalet is at the same time very easy to access from the road to Mont d'Arbois and yet very private and secured. 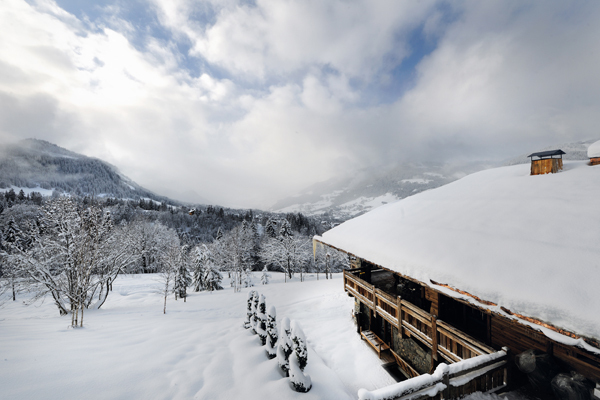 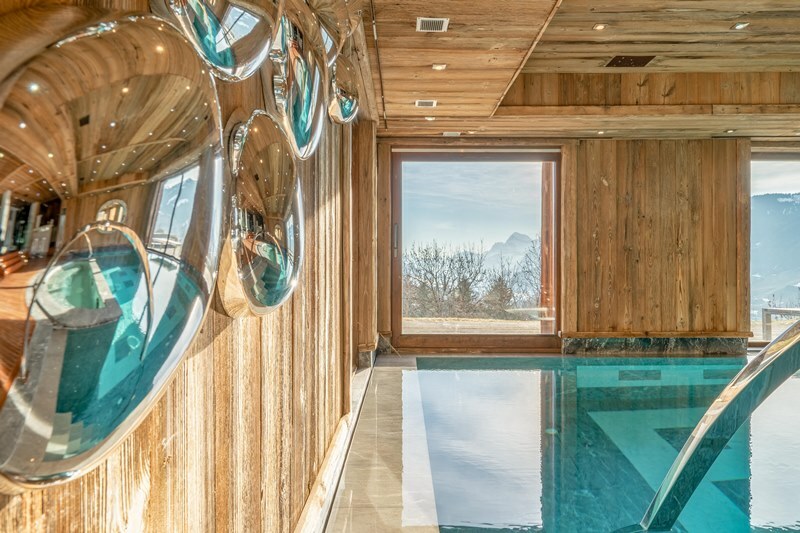 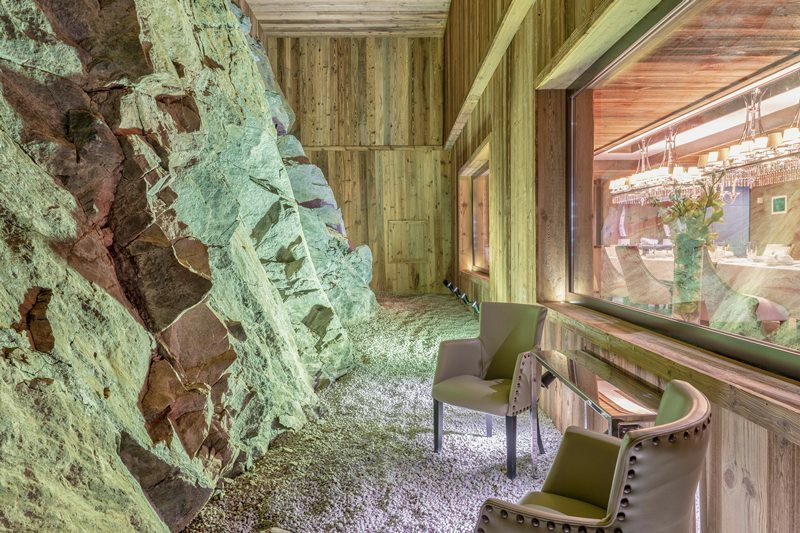 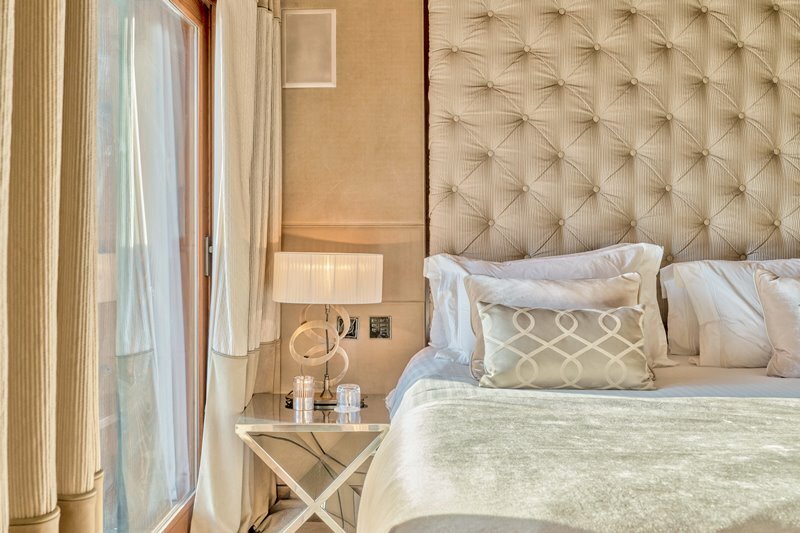 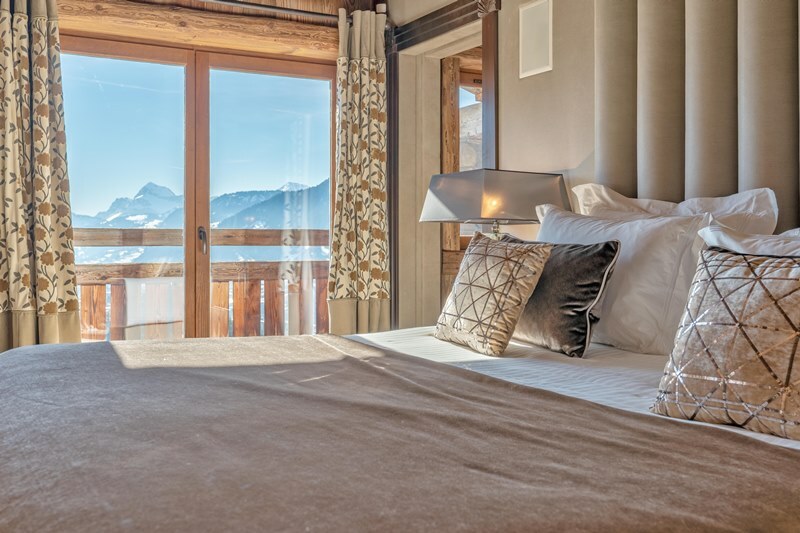 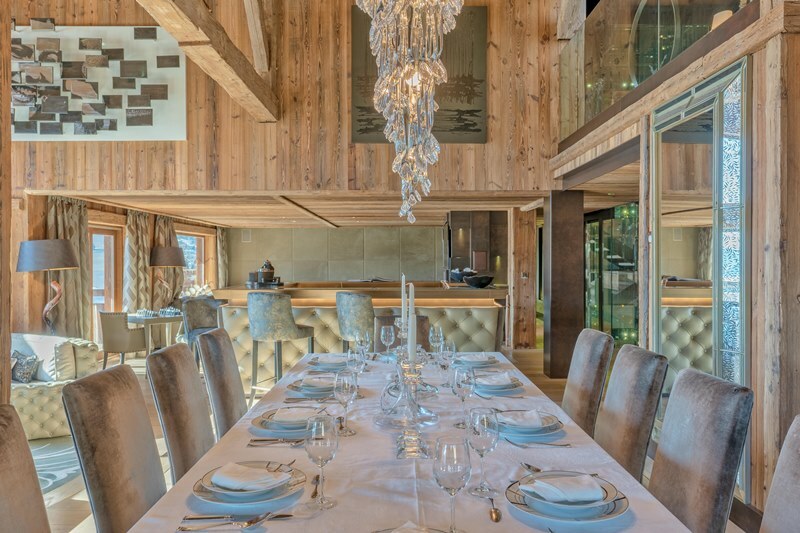 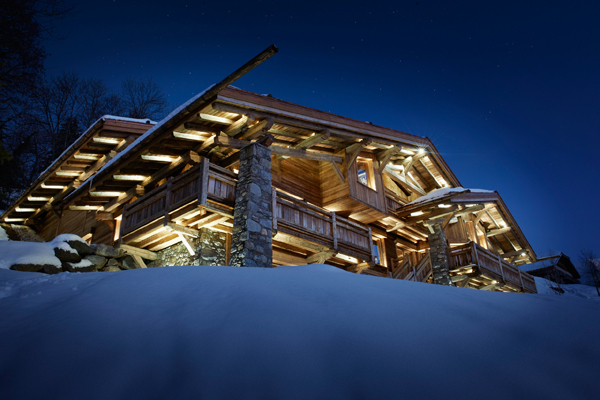 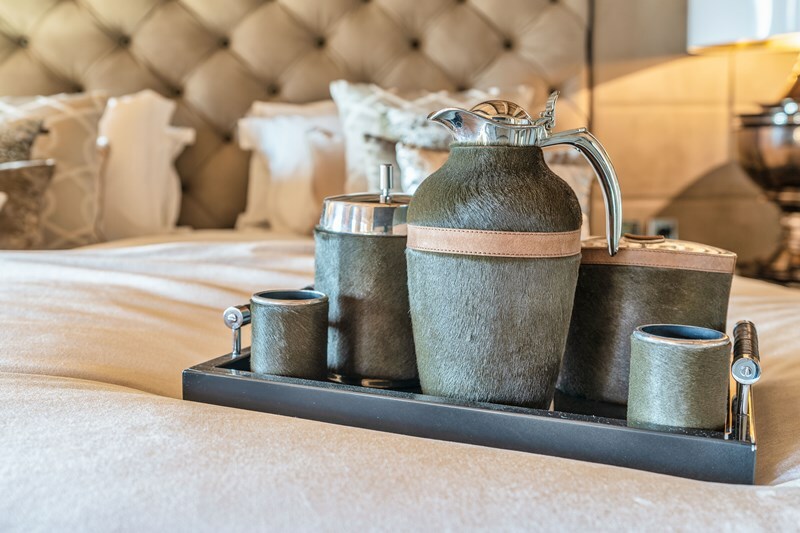 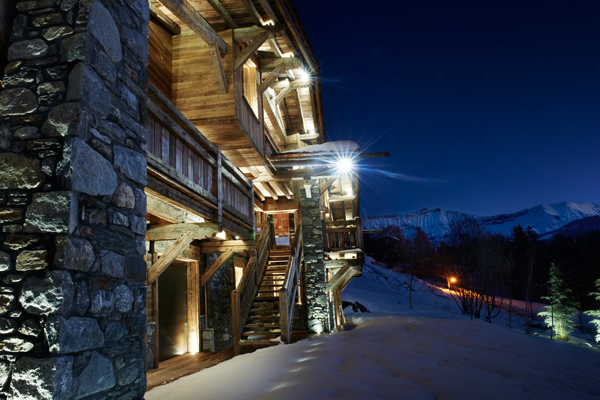 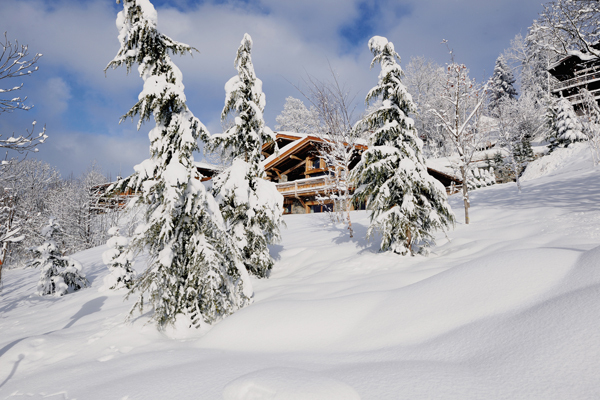 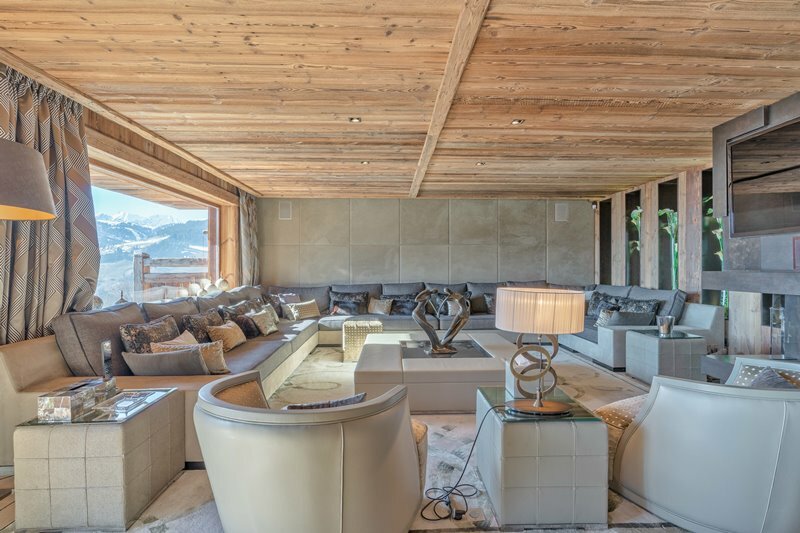 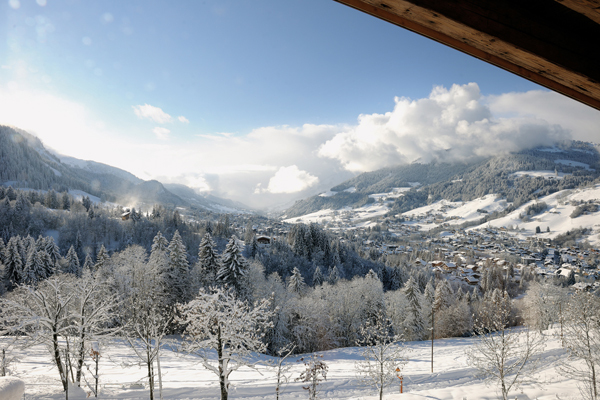 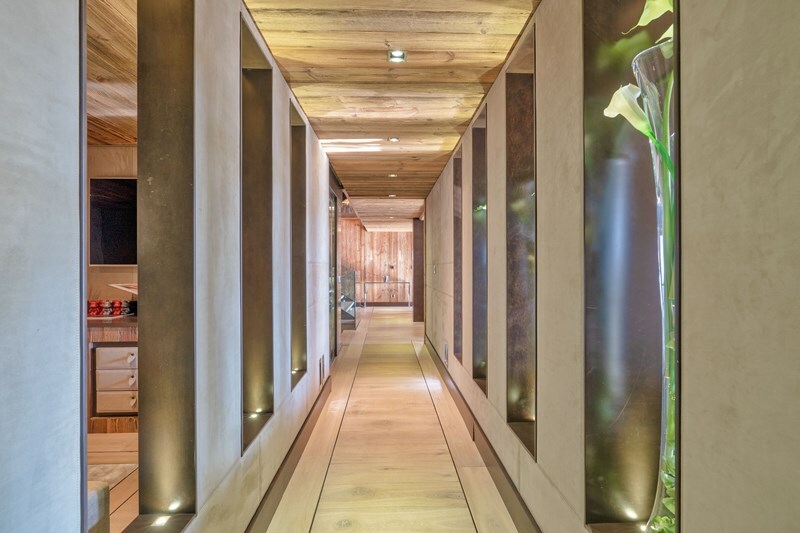 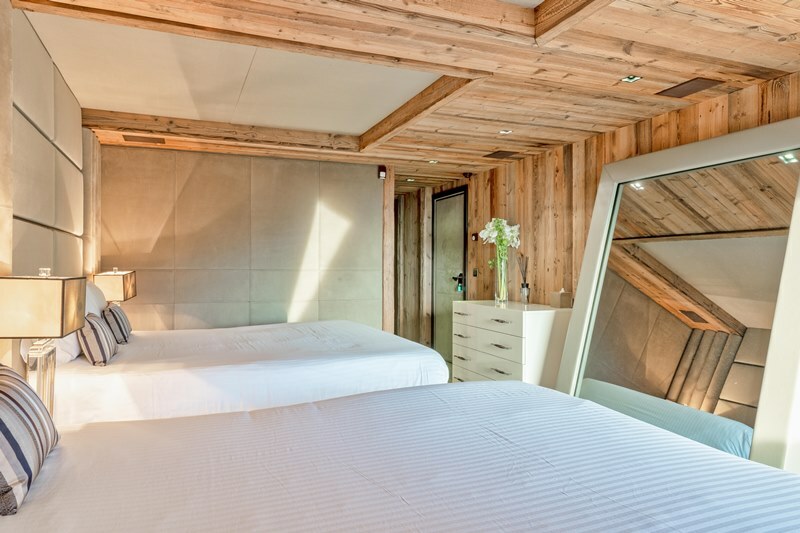 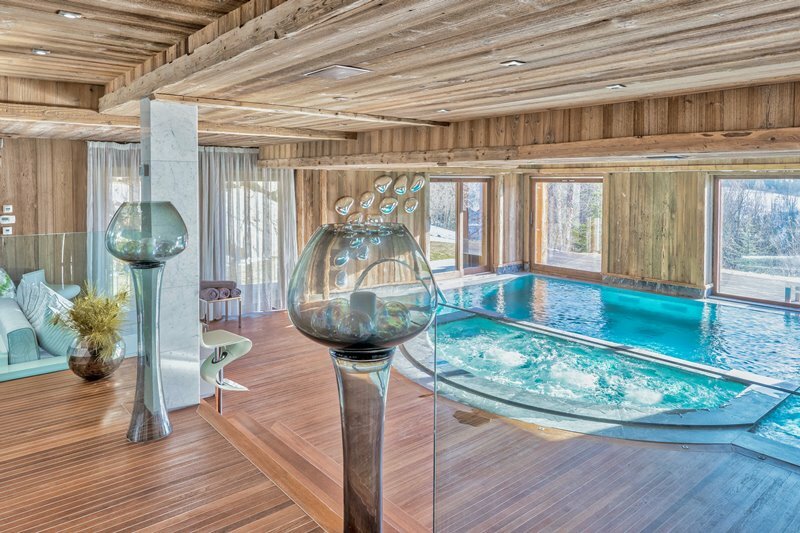 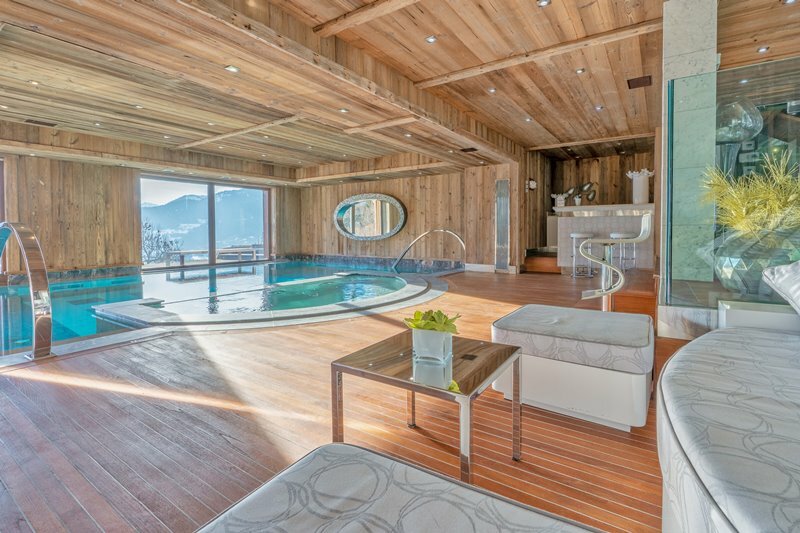 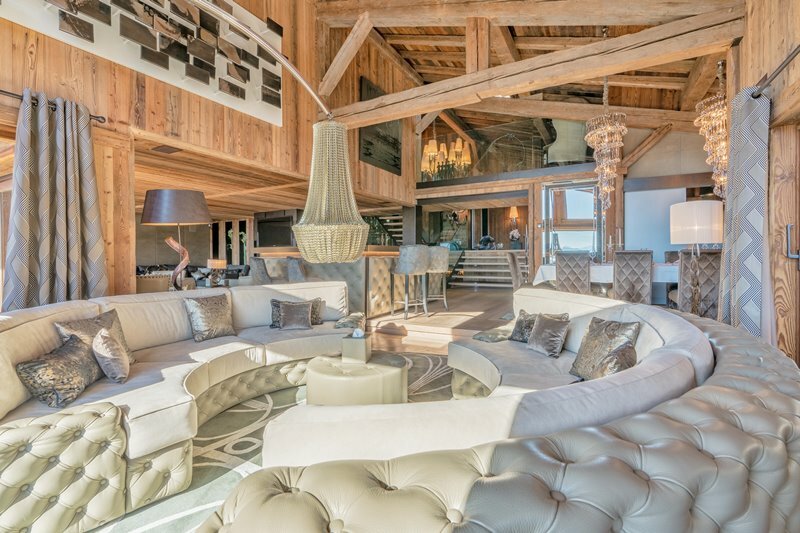 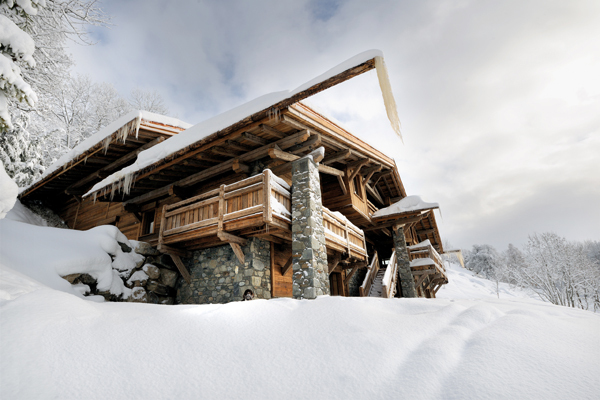 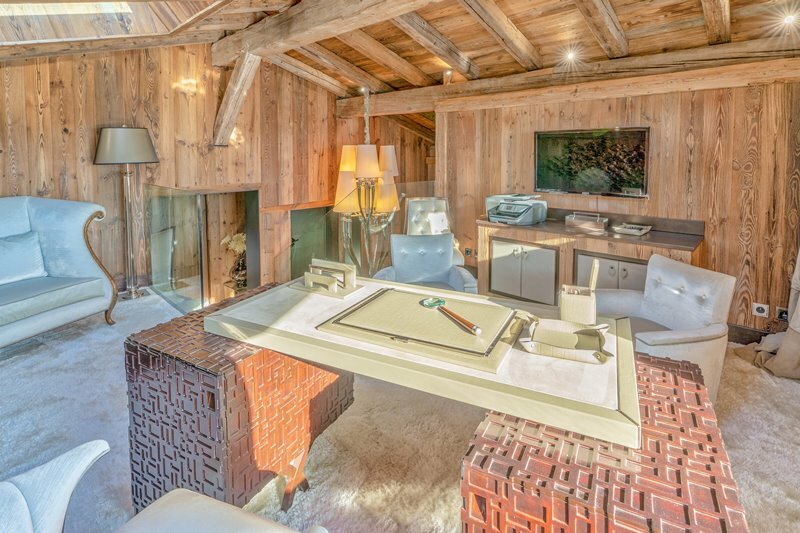 A property of the new generation that will undoubtedly charm the most VIP clients of the Alps. 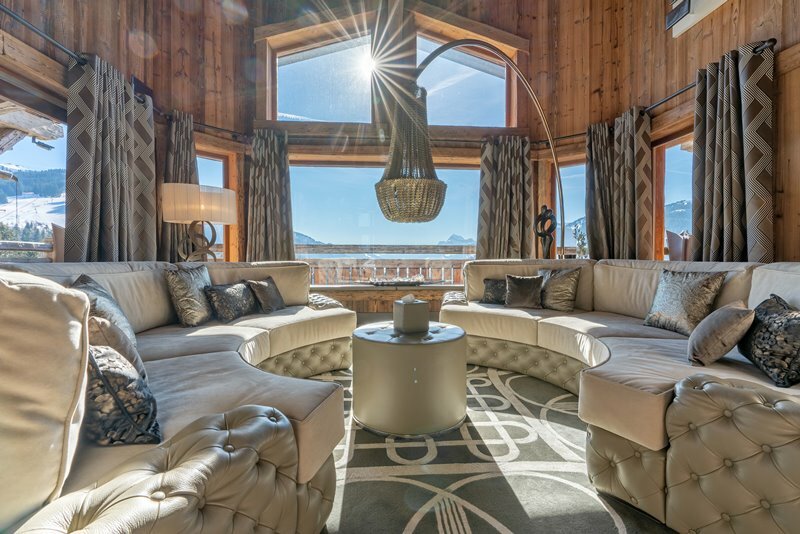 The Lodge is simply a marvel of design and construction. 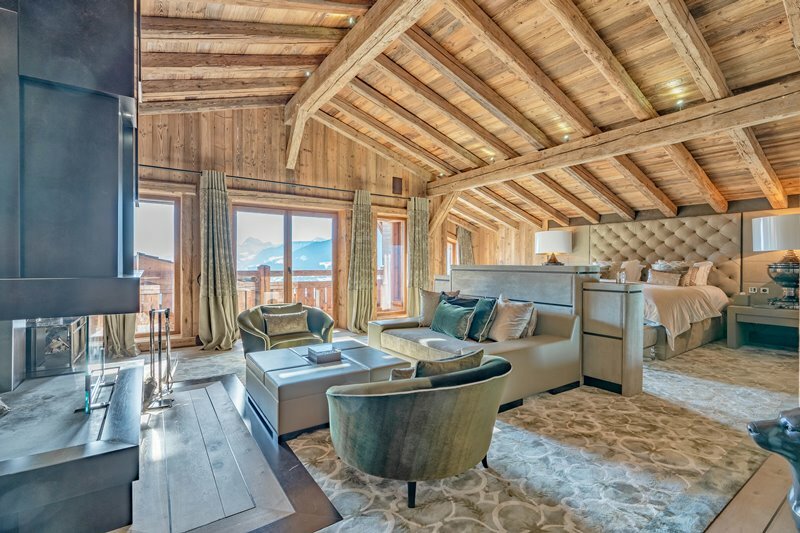 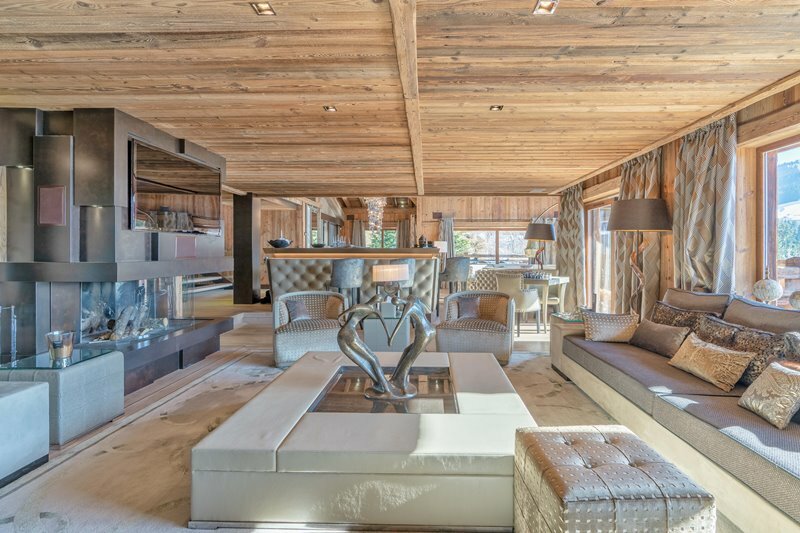 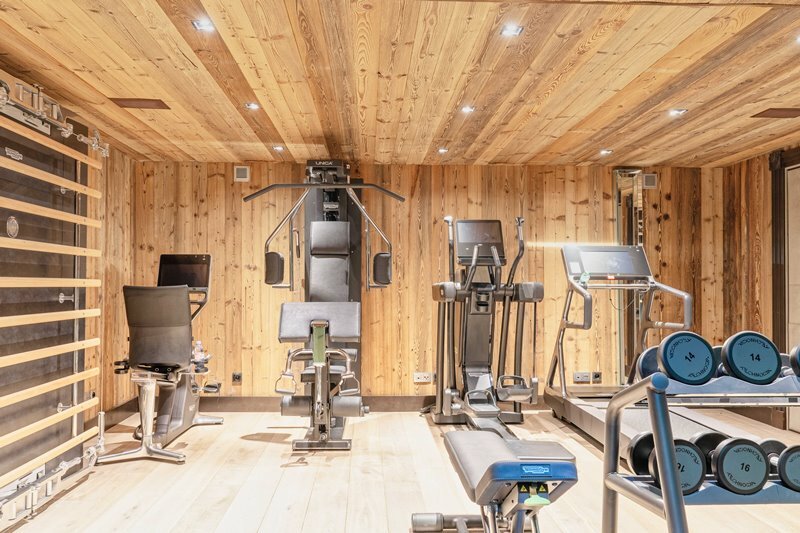 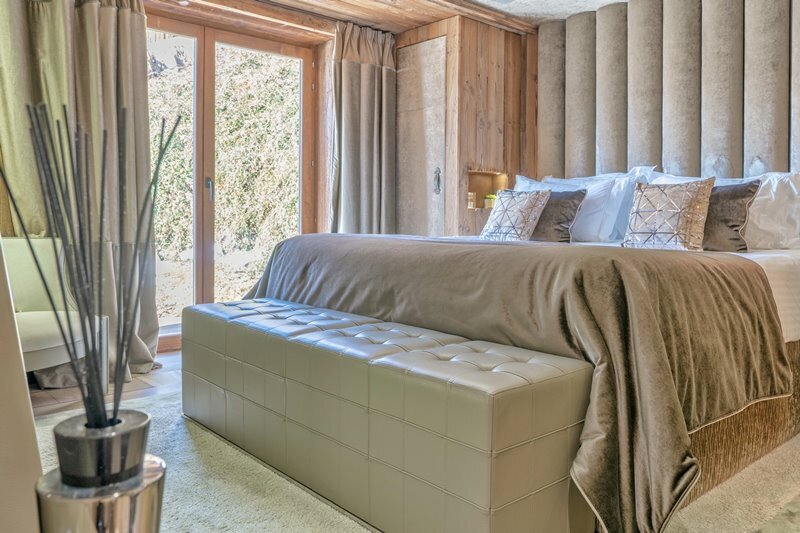 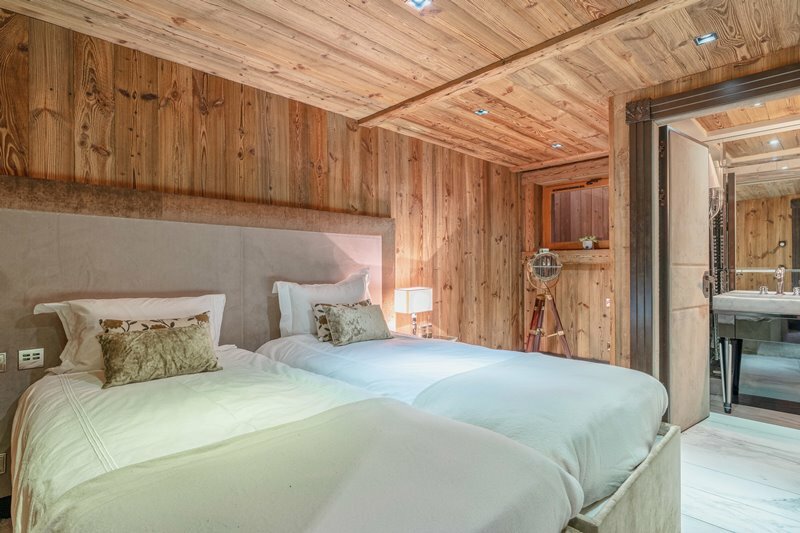 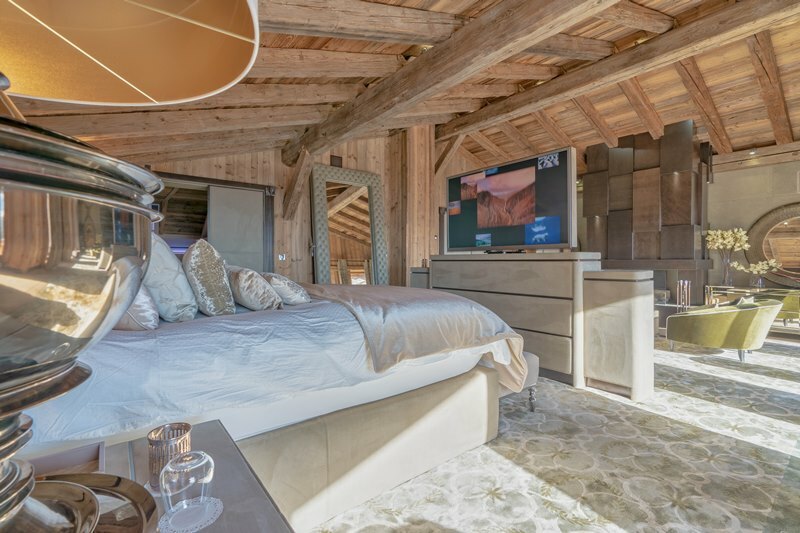 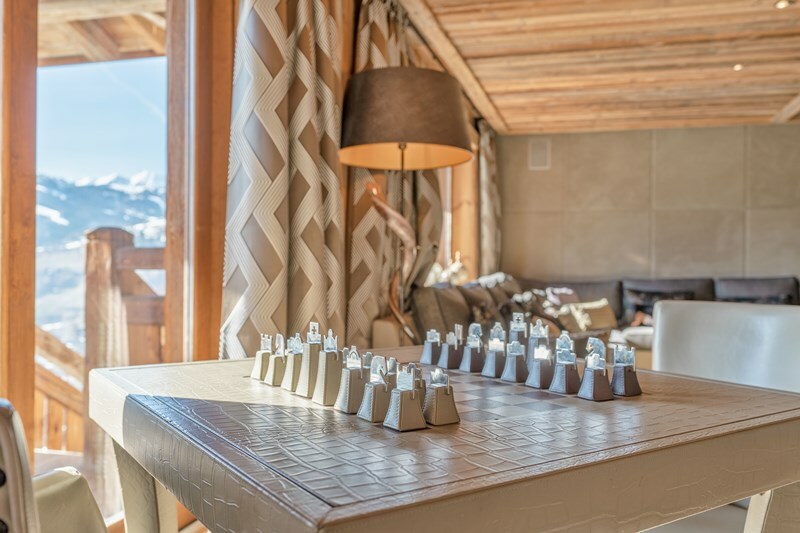 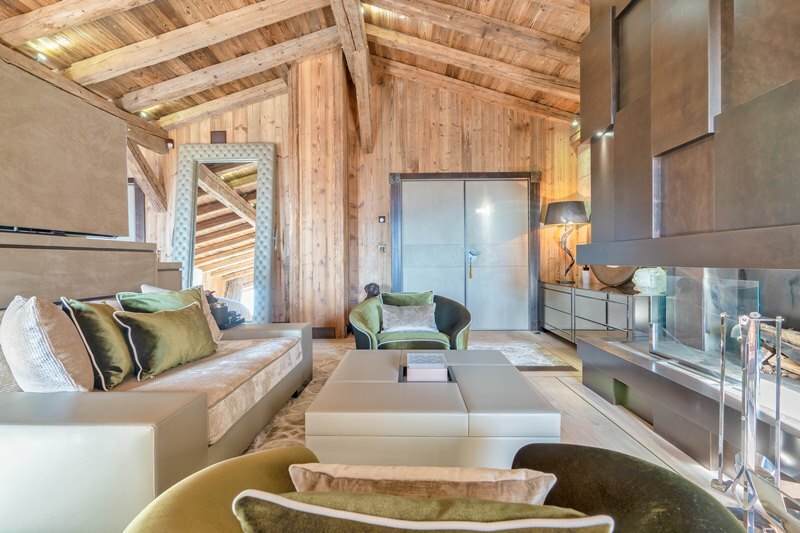 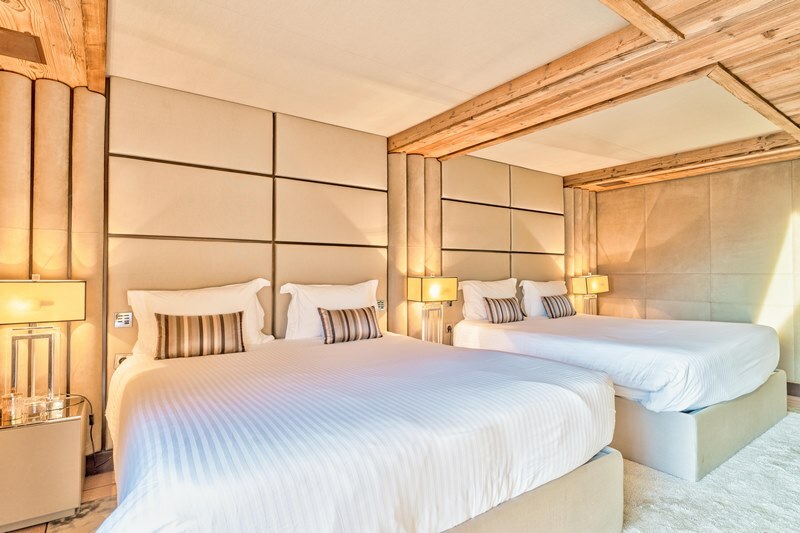 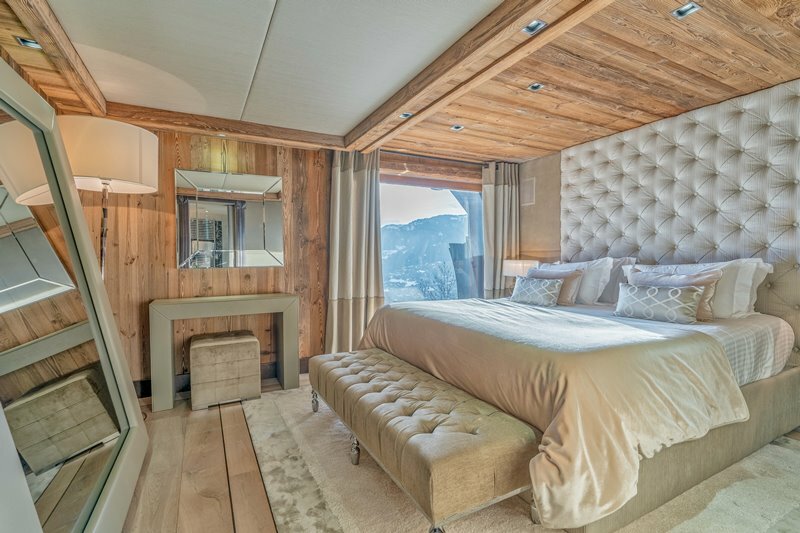 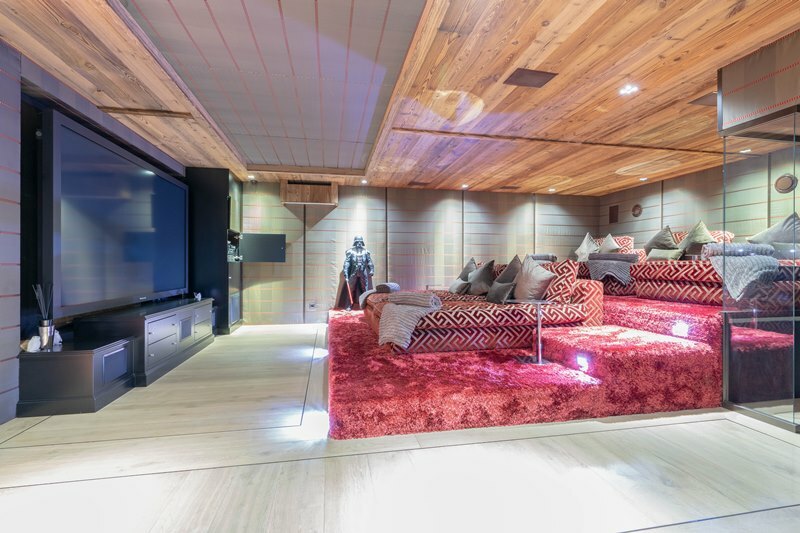 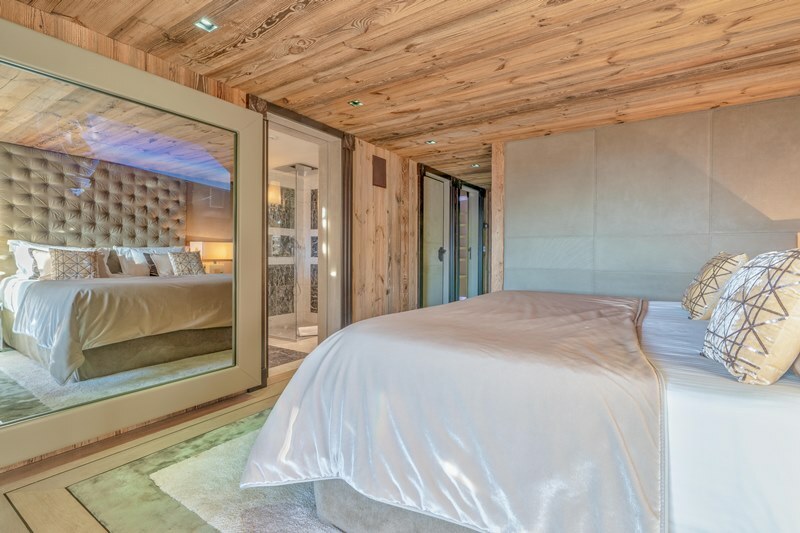 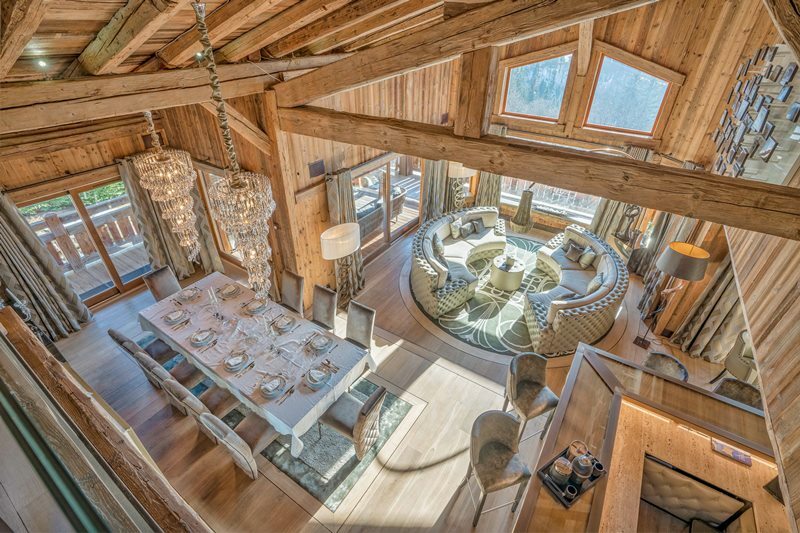 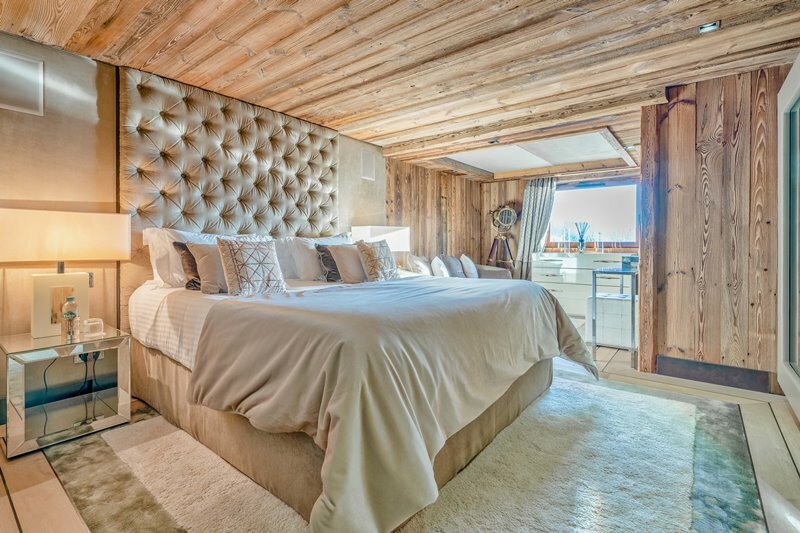 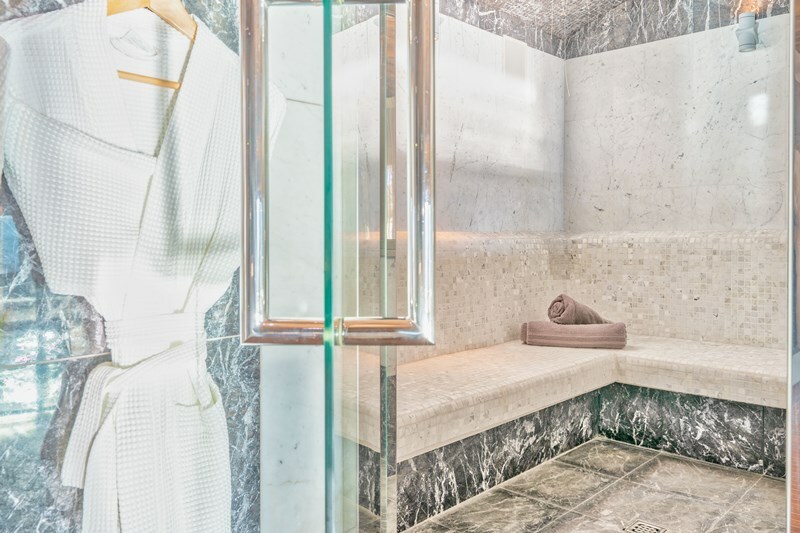 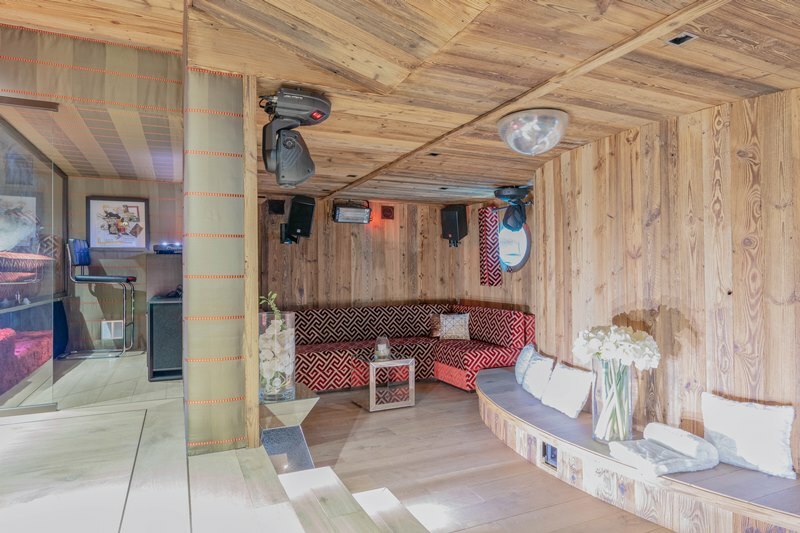 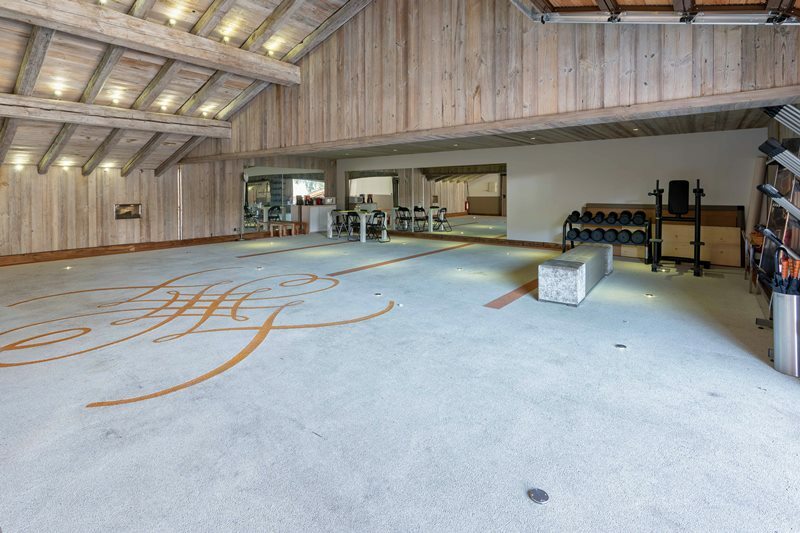 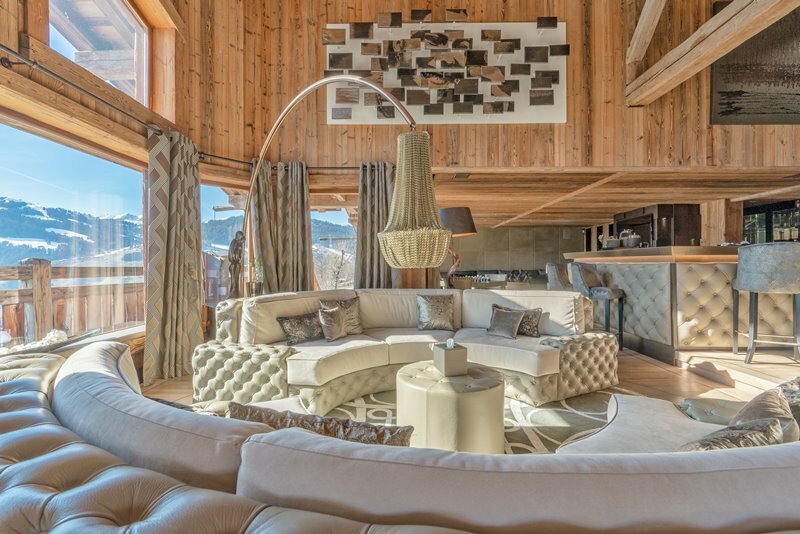 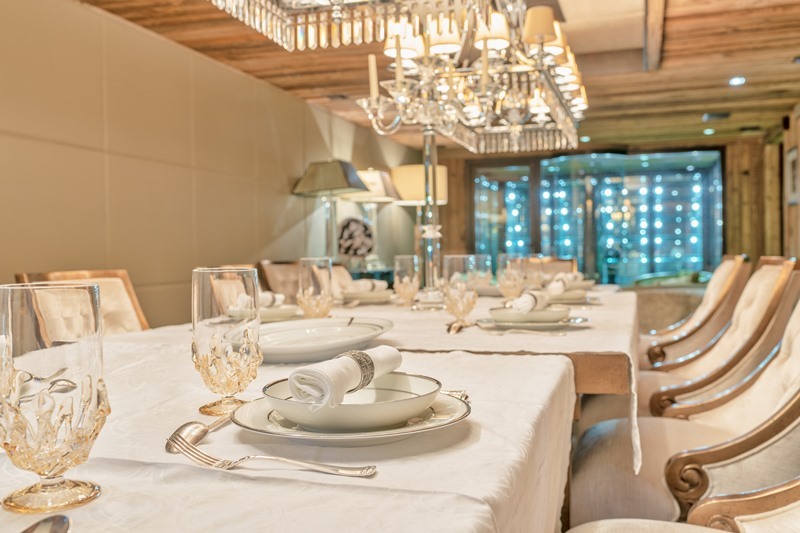 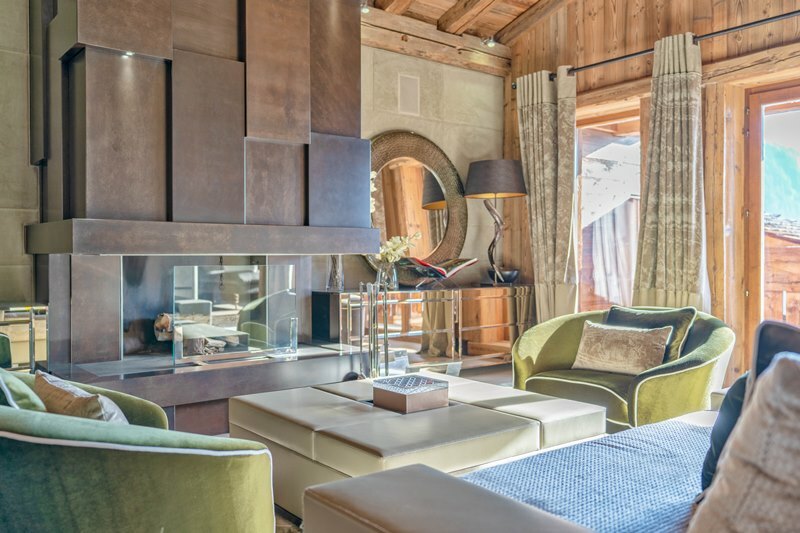 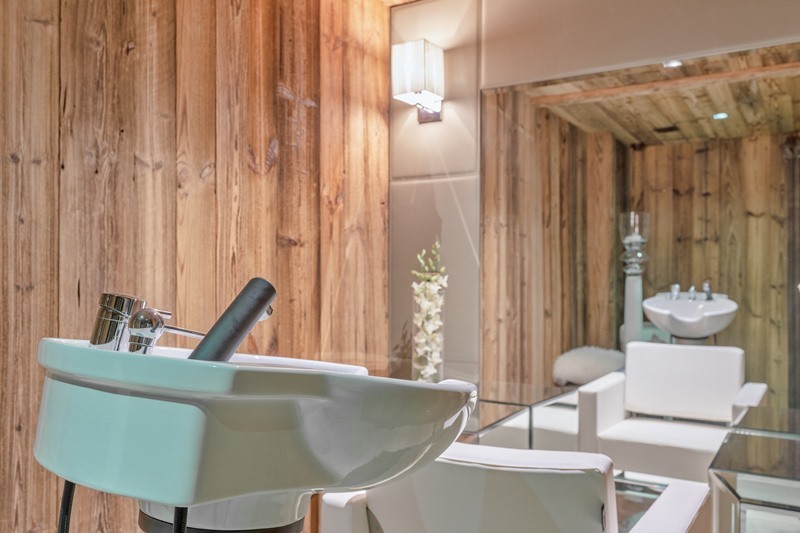 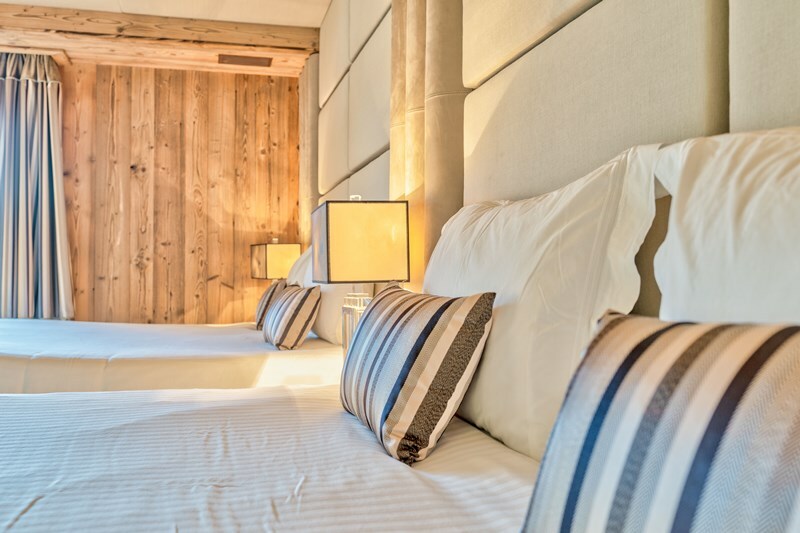 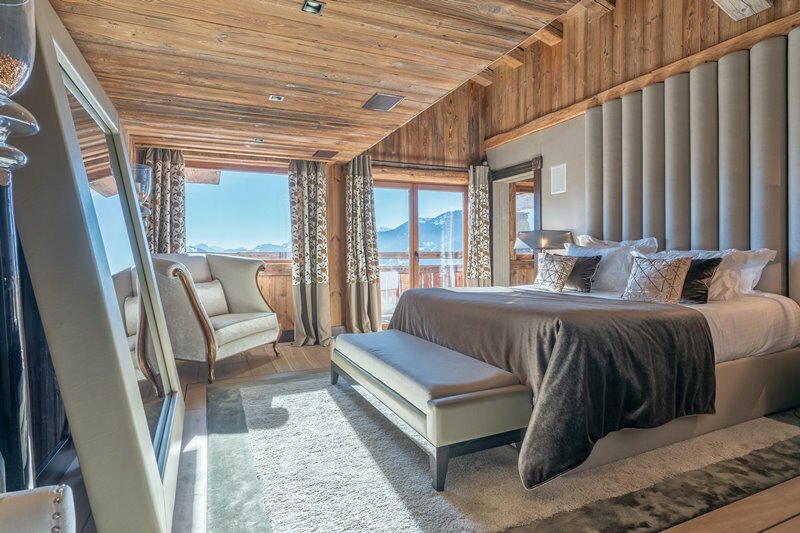 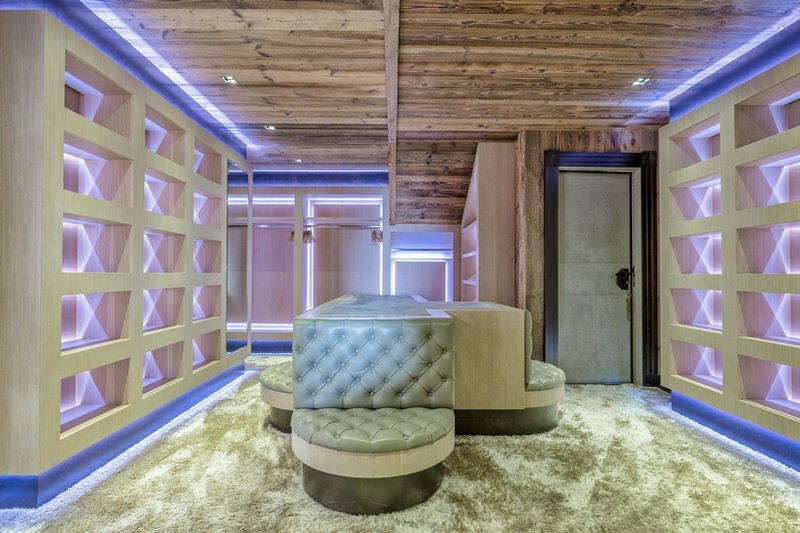 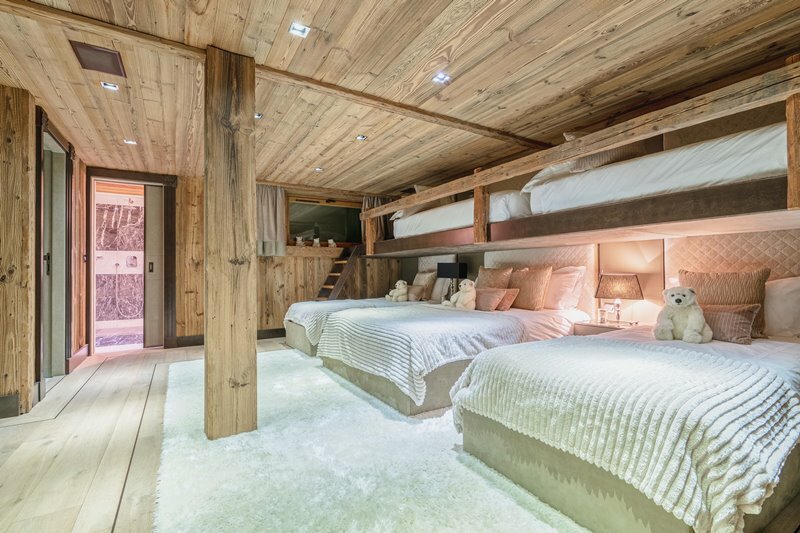 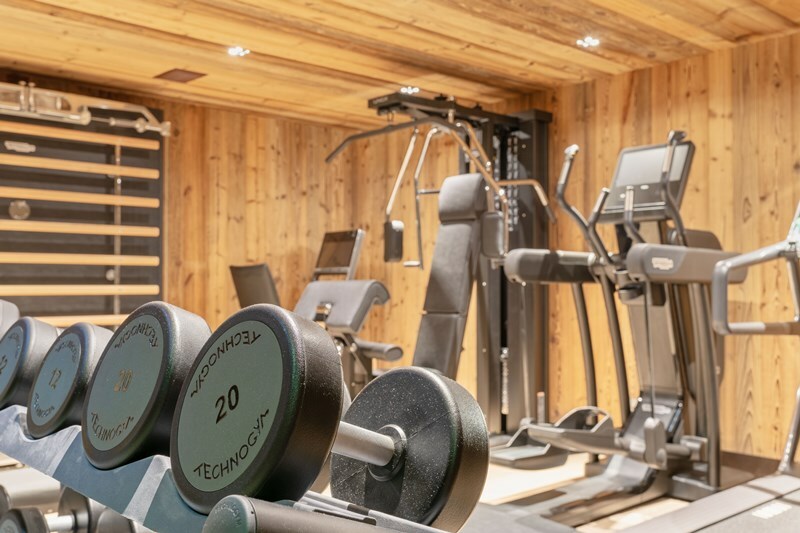 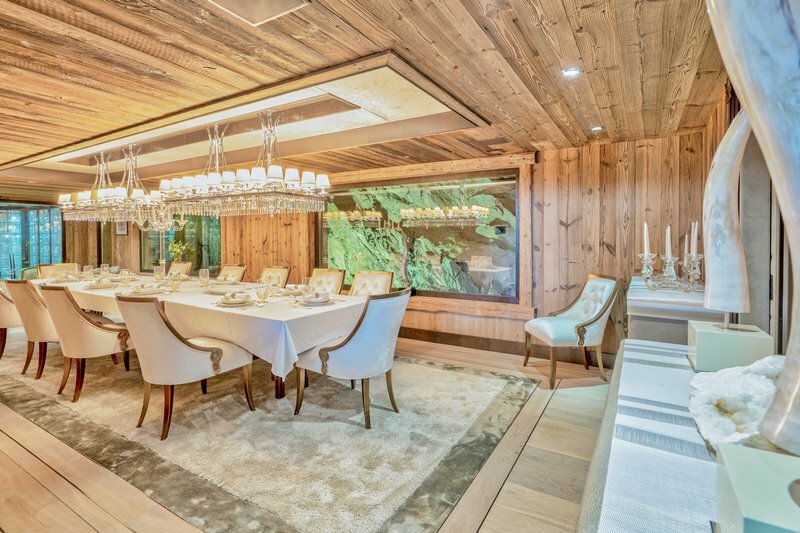 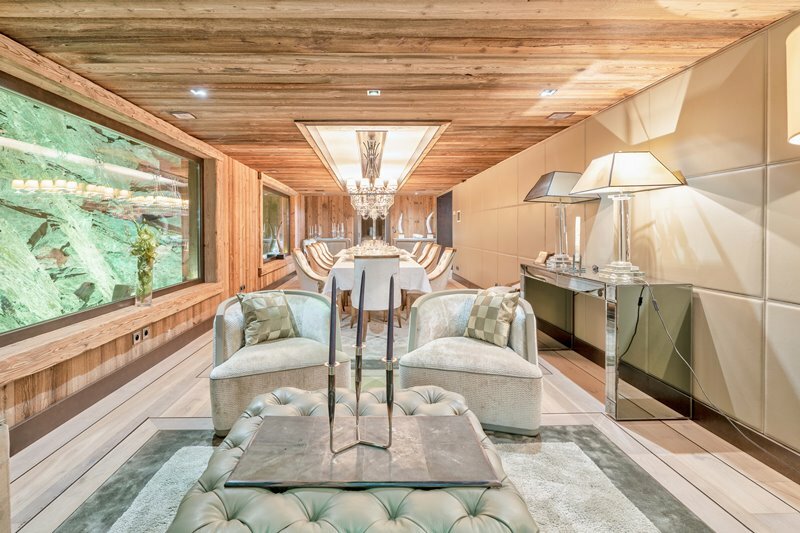 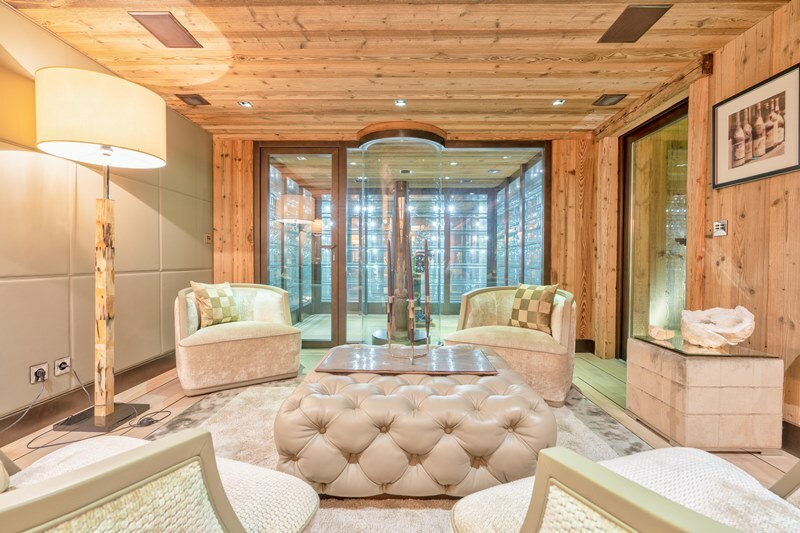 Its interior spaces both typical of a traditional chalet and at the same time providing the latest technologies of comfort and entertainment are perfectly designed and every square meter is rightfully used. 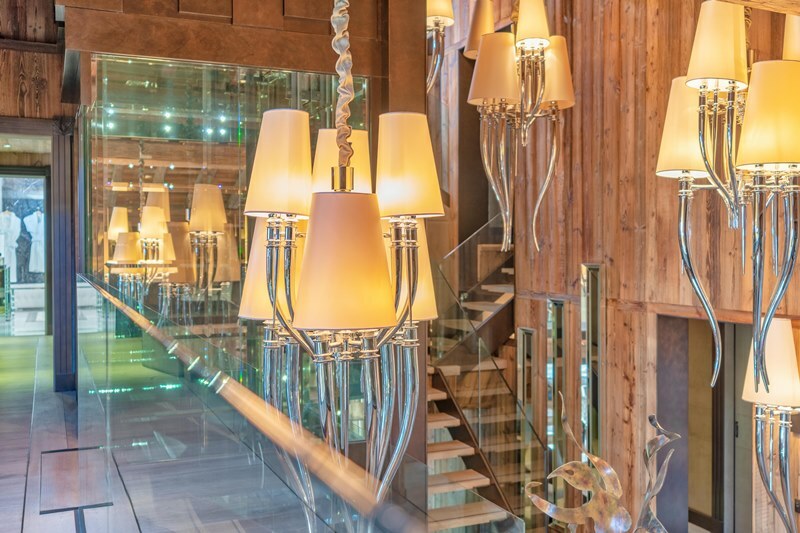 We will highlight as key pieces the main lounge with its sublime central bar, a dining room overlooking a high tech wine cellar, and views on the 'inside' of the mountain through a tunnel of glass, a sublime spa / relaxation with in addition a room dedicated to hair care and an authentic cinema. 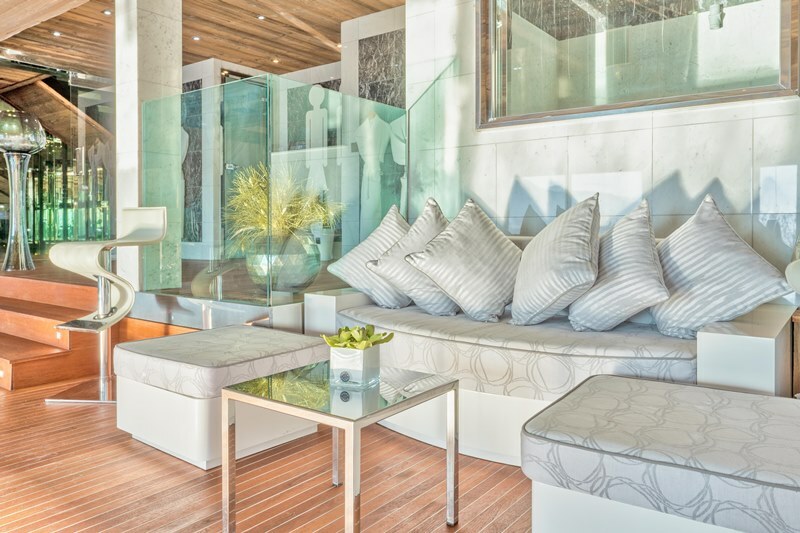 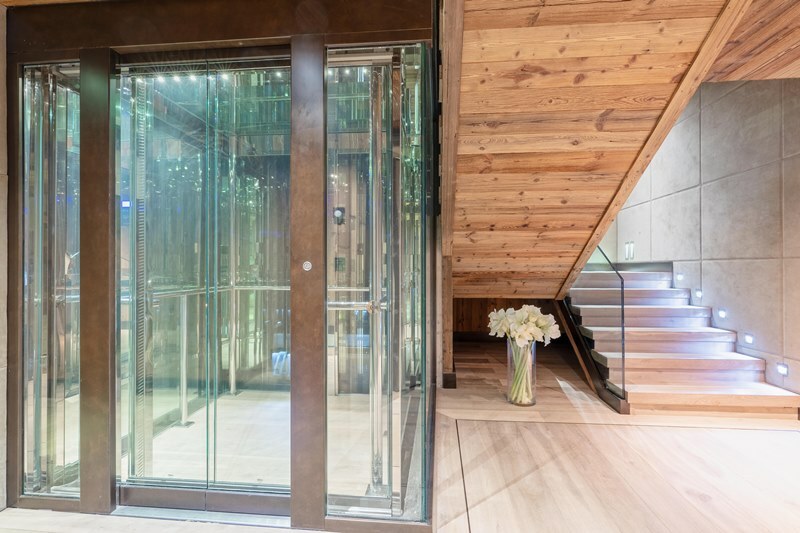 The decor is also a marvel: wall and floor blend with your sofas fabrics, aerial metallic and glass structures do lightweight the wooden foundations while the design of the Plexiglas elevator distributing all levels is just wonderful. 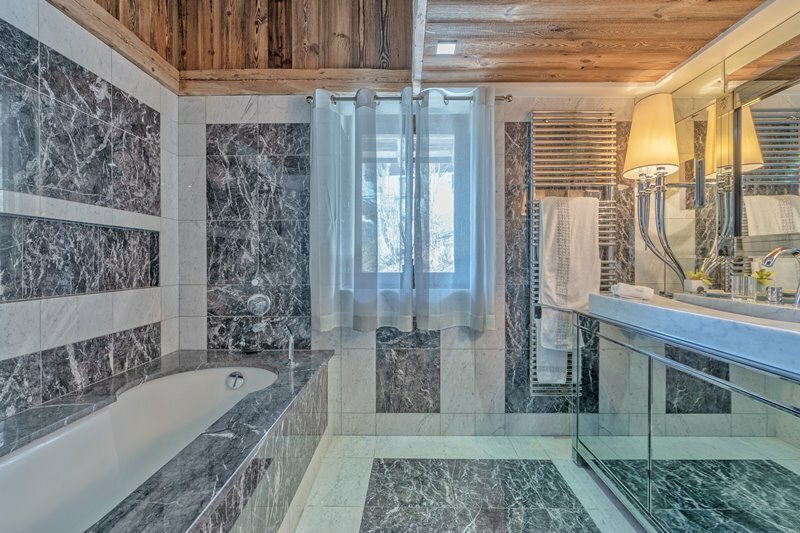 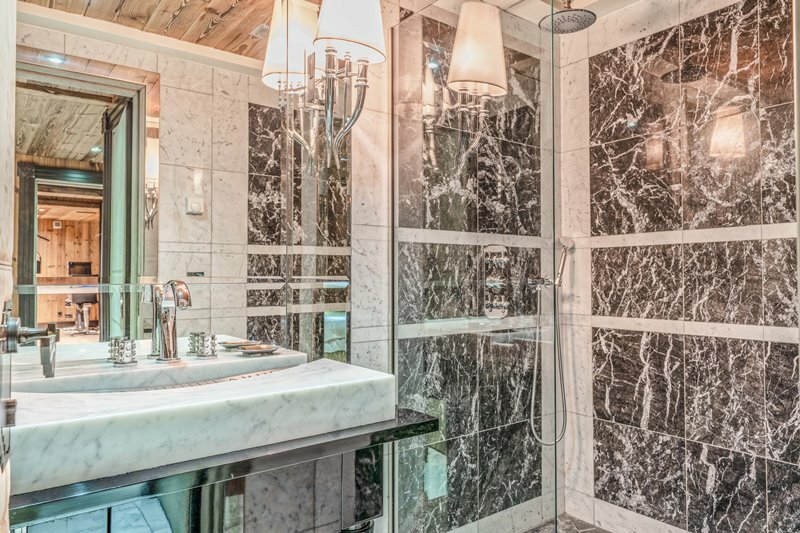 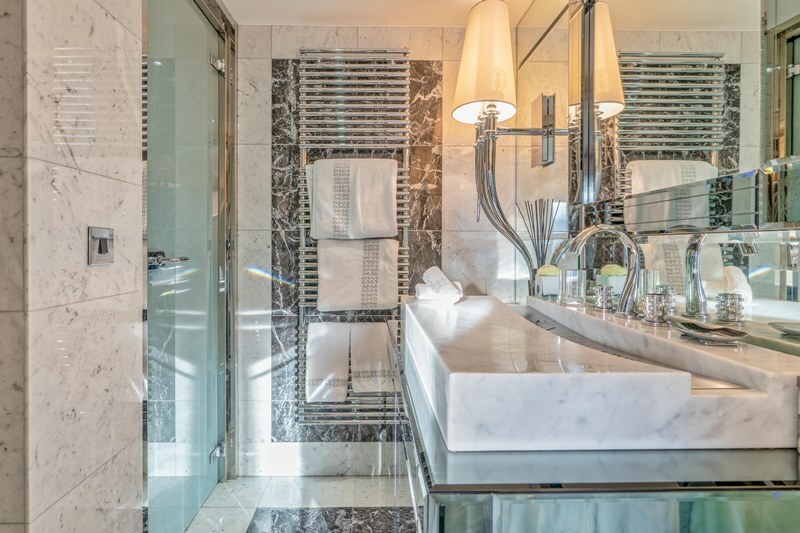 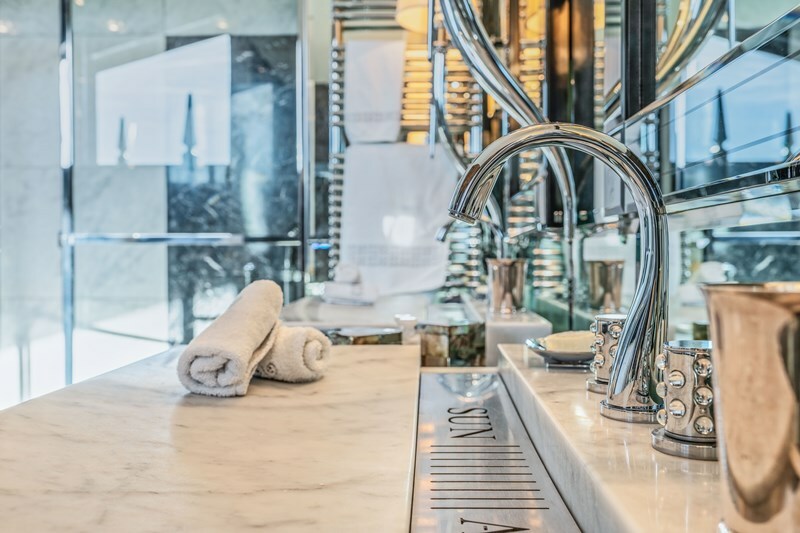 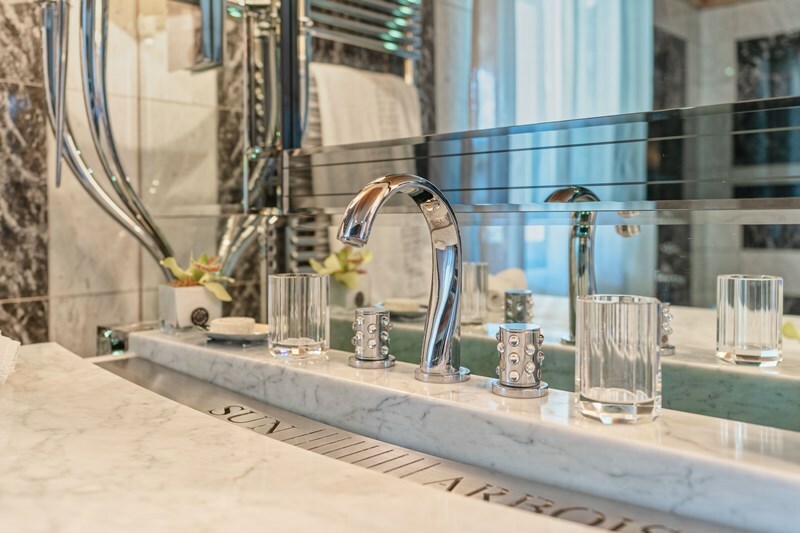 All rooms are obviously en suite and are cleverly arranged so that everyone can retire there to enjoy a moment of full privacy. 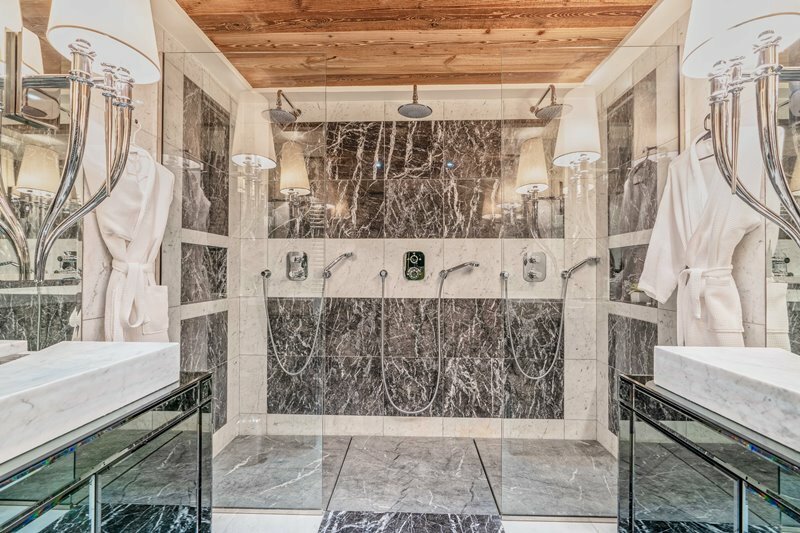 The magic is complete. 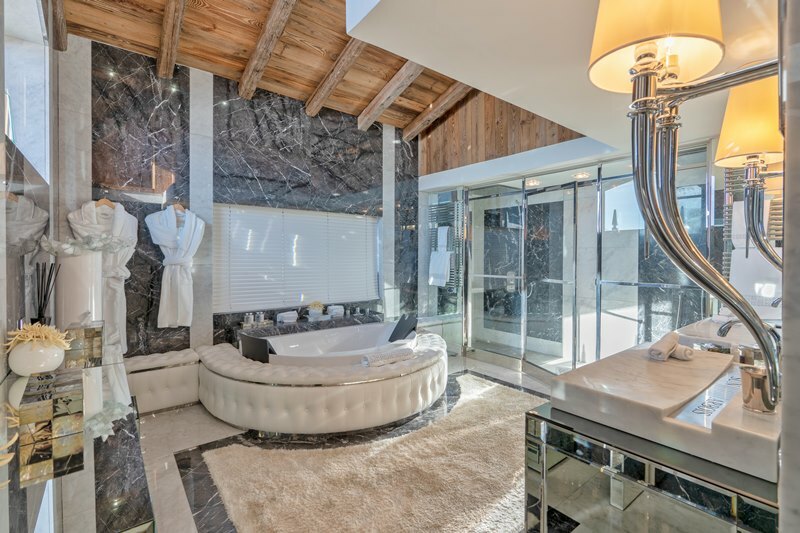 with bathroom, a bedroom with 2 beds and bathroom. 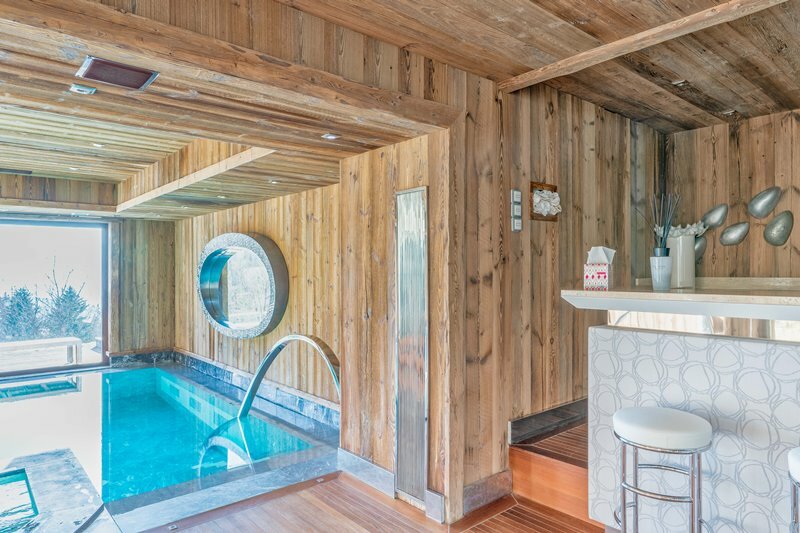 pool, Jacuzzi, steam room, furnished terrace. 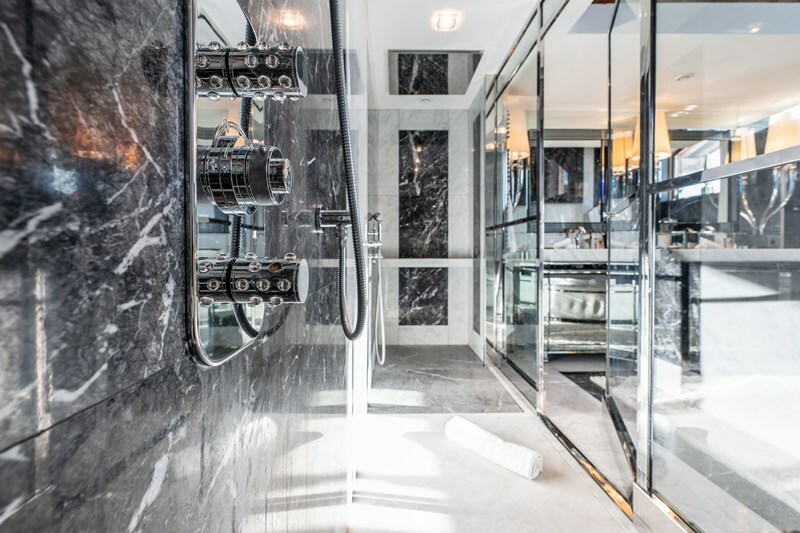 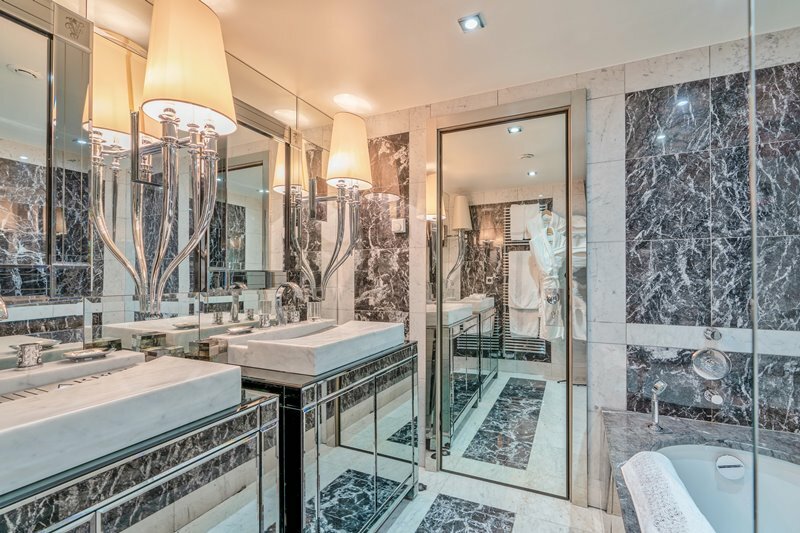 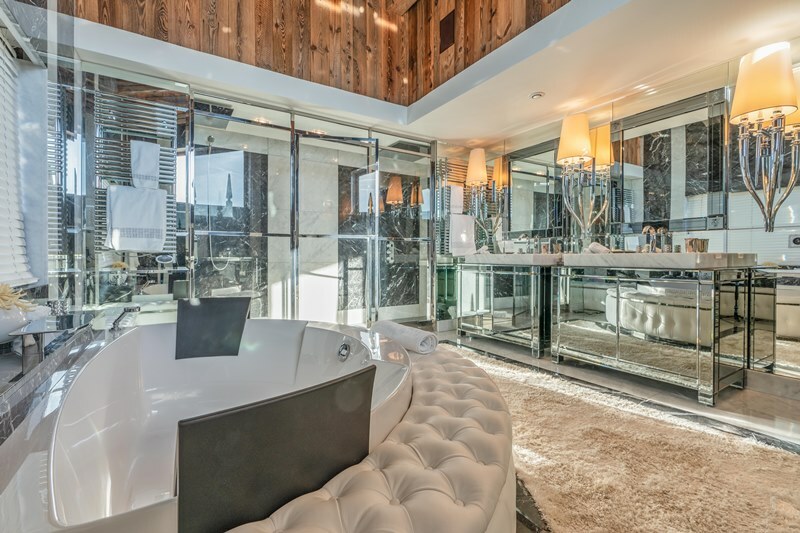 bathroom, a cinema and a disco, a games room for children.